VDSL stands for Very High Bit Rate Digital Subscriber Line, which is an extension of DSL technology, with much higher data transfer rate over conventional telephone line. As for the full form goes, VDSL probably raised first and then the full form back-calculated to tally with DSL. It is sometimes said that Very High Speed ? ?Digital Subscriber Line is the full form of VDSL, instead of Very High Bit Rate Digital Subscriber Line. The revised version defined as ITU G.993.2 (VDSL2), however considers the full form as Very High Speed ? ?Digital Subscriber Line 2. For technical reasons, we will use the form Very High Bit Rate Digital Subscriber Line as the full form of VDSL. Very High Speed ? ?Digital Subscriber Line (VDSL, the abbreviation VHDSL is deprecated) is a DSL technology, with much higher data transfer rates over conventional telephone lines provides for example by ADSL or ADSL2 + . 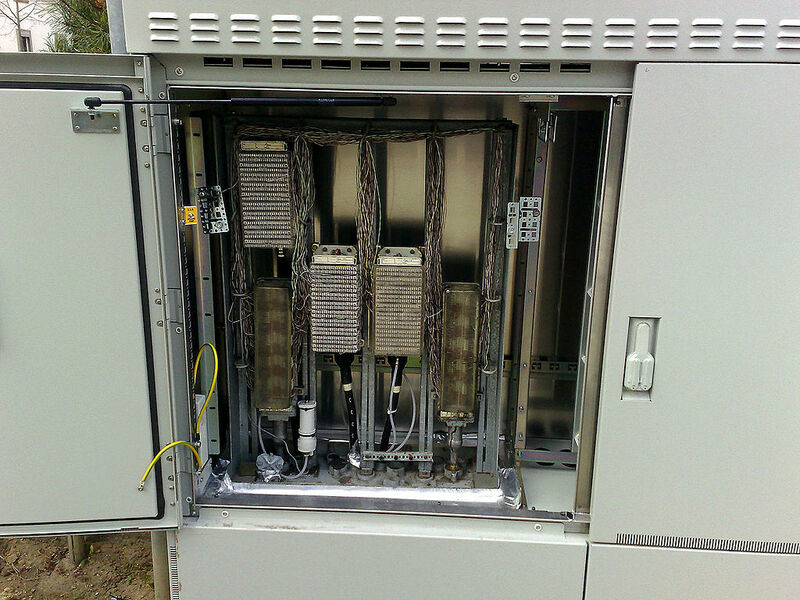 Like all DSL technologies including VDSL, as the last piece of the transmission line to the customer the twisted copper wire is used,. This is important as often the conventional media incorrectly correlates optical fiber with VDSL. The International Telecommunication Union (ITU) has currently defined two VDSL standards: VDSL1 (ITU-T G.993.1) and VDSL2 (ITU-T G.993.2). VDSL uses up to 7 different frequency bands, which enables customization of data rate between upstream and downstream depending on the service offering and spectrum regulations. First generation VDSL standard specified both quadrature amplitude modulation (QAM) and discrete multi-tone modulation (DMT). In 2006, ITU-T standardized VDSL in recommendation G.993.2 which specified only DMT modulation for VDSL2. For VDSL2 standard, as a major innovation different “profiles” exist. In the profiles, among the others, the respective cut-off frequency, carrier spacing and the signal strength are set. The different parameters for each profile are the reason for the maximum achievable data rates. Internet telephony and television programs demands the high quality transfer. This Article Has Been Shared 9759 Times! Create User Named Github Page just from your browser. For a basic webpage for your own named Github page, practically few steps are required to create yours. Cite this article as: Abhishek Ghosh, "VDSL or Very High Bit Rate Digital Subscriber Line," in The Customize Windows, December 10, 2013, April 23, 2019, https://thecustomizewindows.com/2013/12/vdsl-or-very-high-bit-rate-digital-subscriber-line/.